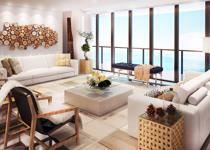 Simply put, the Murano at Portofino condo is the most stylish condominium on South Beach! 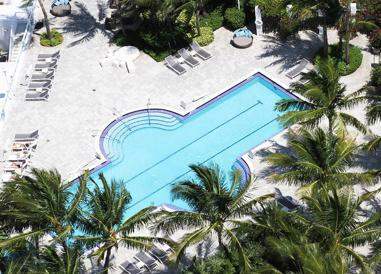 Not too many condominiums can boast of having a private Bay Side Beach Club on its premises. This one comes with a saltwater pool and a poolside café. 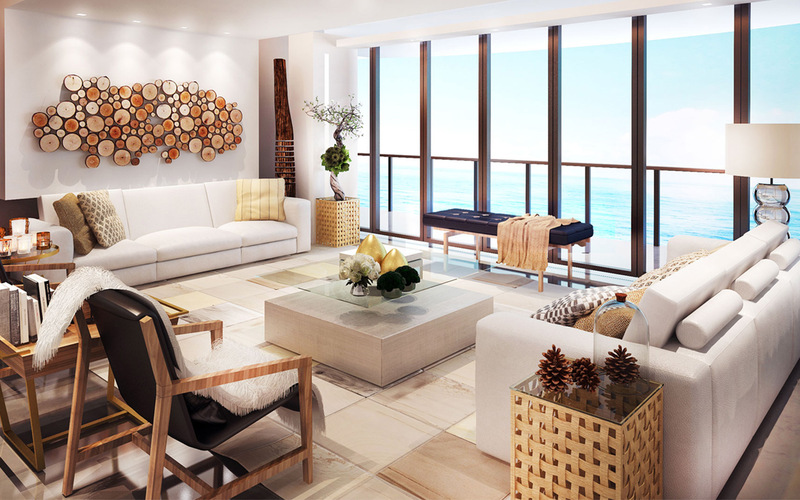 Murano at Portofino is an ultra-luxury 37 story condo building that was built in 2005, designed by Sieger-Suarez and developed by The Related Group and George Perez. 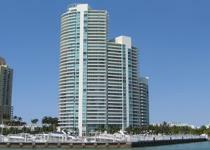 It is located in the very popular South of Fifth District (SoFi) of Miami Beach. This location is the most southernmost tip on the western side of the island of Miami Beach. The building contains 189 units that have floor-to-ceiling magnificent views of Miami Harbour, Biscayne Bay and the Atlantic Ocean. Private elevator foyers in select residences, solid-core double or single entry doors, ocean to Bay flow-through floor plans in select residences, panoramic views, spacious living/dining room with adjacent terrace, oversized sunrise/sunset terraces with glass and aluminum railings, nine foot ceilings, tinted, tempered glass designed, high-efficiency central air conditioning and heating, large walk-in closets, pre-wired lines with multi-line capacity for telephone, fax, cable and computer. eat-in breakfast area in select residences. Eat-in breakfast area in select residences, sub-Zero built-in refrigerator-freezer, full-size oven and microwave, touch-control ceramic radiant cooktop, variable-speed range hood Sound-insulated dishwasher, stainless steel under mount double sink with spray. Spacious whirlpool tub, custom seamless enclosed glass shower with marble flooring and wet wall, elegant marble flooring in wet areas with pattern insert, fine European cabinetry, granite vanity top with double porcelain sink, full-width mirror over vanity, contemporary designer faucets, elongated water closet, european-style bidet with coordinating faucets. We have the best heated pools for the enjoyment of all, this is doubly. The details are important. thats why all our areas are well maintained and accommodated for all visitors and residents. Resort-style men’s and women’s spas with sauna, steam room, hot tub and cold plunge. In our facilities we have the best courses for your favorite sports. Among the highlights are our beautiful tennis courts. Sq Ft Range: 1,390 - 3,365 Sq. Ft.